Carter and Olivia recently held their Educational Outreach Program for the gifted students from the Xanadu Group at Parkside Elementary School. 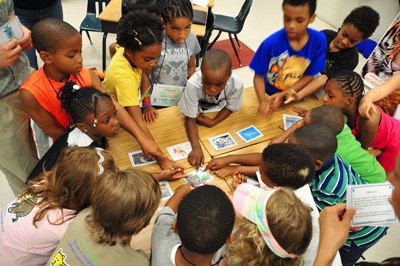 Students learned all about endangered species and even had an opportunity to play the new OMG Flip Card Game which Carter and Olivia created specifically so they could make learning about endangered species fun and exciting. 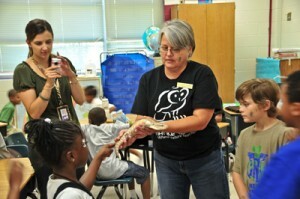 The folks from Cochran Mill Nature Center were on hand as well and they brought various live animals for the kids to learn about and touch. 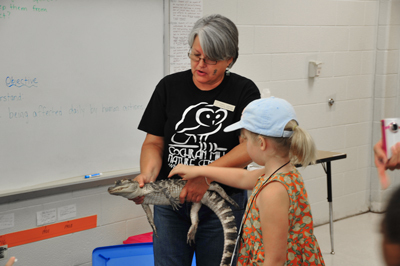 The American Alligator “Flounder” was a big hit as Bobby (from CMNC) discussed how the American Alligator was a success story since at one point, they too were considered endangered. 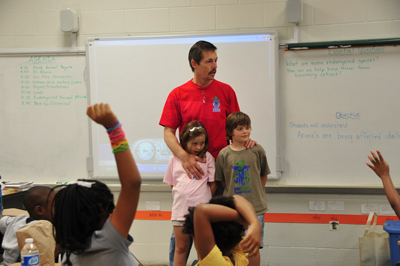 Dr. Michael Black (from the Center for Behavioral Neuroscience/Department of Psychology at Georgia State University and OMG Board member) was on hand to teach the kids the differences between Amphibians and Reptiles. 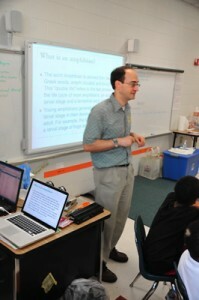 His presentation was excellent and really kept the kids engaged in the topic. 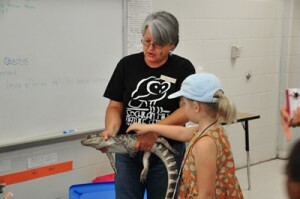 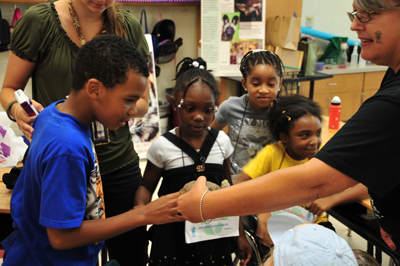 OMG is available to conduct their Educational Outreach Program to audiences of all sizes. If you are interested in booking them for your school or event, please call them at 877-OMG-THANKS or 877-664-8426.